In real time, everything requires monitoring and controlling, especially in case of the protecting food from getting spoiled. In this paper, an Internet of Thing (IoT) based framework for food monitoring is proposed to protect food from getting spoiled due to changes in the environmental conditions during storage. In the existing scenario the prediction has been done based on the recorded sensed data and detailed analysis have been done to identify the factors affecting the food to get spoiled. 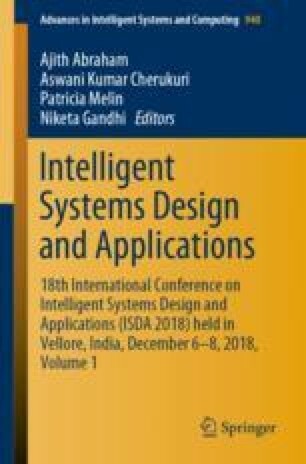 Automated controlling mechanism is proposed in this work for controlling the environmental parameters with adaptive Naïve Byes prediction and IoT. In the proposed work, environmental parameters like temperature, humidity, moisture, light, etc., which affect on the quality of the nutritional values of food are considered which spoil the food, if they are not in the advisable range of their values. In this work online analysis would be done to predict the nutritional condition of the food to avoid the spoilage of the food. This will help to save food from getting spoiled and reduces the incidental losses in the business. All the sensed data will be stored on a cloud and the analysis would be performed for prediction of the environmental condition at the storage place to avoid food spoilage by changing to the suitable environmental condition, at the place. In the proposed work adaptive Naïve Bayes method is used for prediction of environmental condition at the place where food is stored and the harmful changes are monitored and action will be taken to provide advisable condition at the stored location. Internet of Things Framework Storage Analysis Nutritional values Cloud etc.